You are here: Home / Living Gluten Free / What’s in your gluten free biscuit? What’s in your gluten free biscuit? Another article in the Health section of the Independent today, discussing trans fats – in general, not specifically in gluten free foods. As I expect you know, trans fats are horribly unhealthy, creating the ‘apple’ body shape by loading any excess fat onto your abdomen. ‘Pear’ shaped people carry any excess fat on their hips and buttocks, while ‘apple’ shaped people carry excess fat on their stomachs. ‘Apples’ are more likely to have health problems related to obesity such as diabetes, or hormonal cancers such as breast cancer. Trans fats are used because they are cheap, and have a long shelf life. The Indy quotes a report from Which? October 04, which says that Tesco’s Free From toffee fudge shortbread has 2.5g of trans fat per portion – more than a Burger King whopper and regular fries. 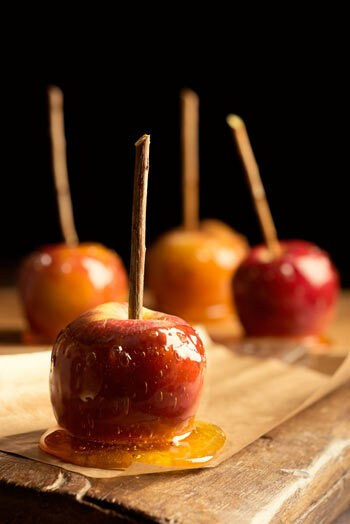 Is there lecitem in your toffee apple?